Just like the name, staying at King Palace offers a royal feeling to the visitors. Every moment spent here comes with delightful charms in the blanket of soothing comforts. Tastefully designed rooms use premium decors that consist of wooden carvings, wallpapers and pleasant colours. 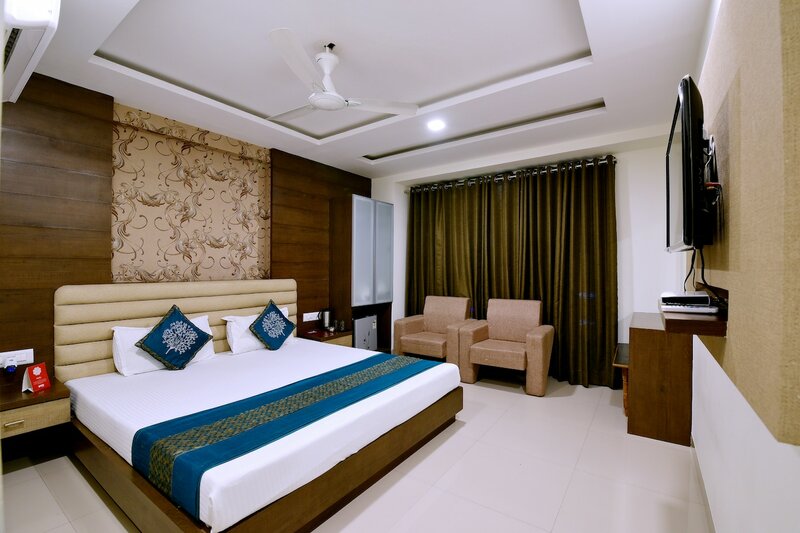 Fully furnished with essential amenities including mini fridge, the rooms are spacious, cozy and easily sends you into dreamland after a busy day. The hotel provides the guests with a number of facilities such as parking facility, free Wi-Fi and CCTV surveillance. Being close to Ujjain junction makes it easy to locate the property. Triveni Ghat is nearby and is one of the favourite sunrise spots in the city.